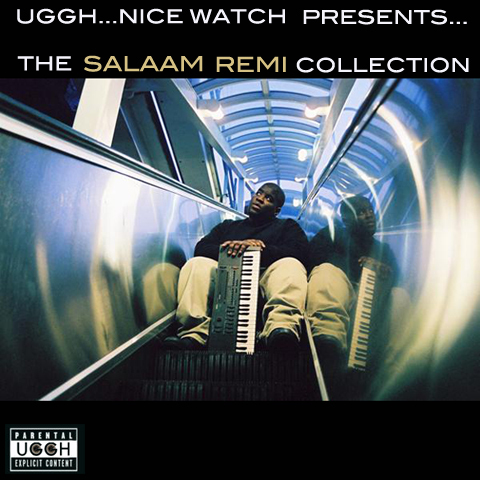 This Salaam Remi produced track has been a recent R&B fav of mine recently. The homie Riq put me on to it. Not a gian J. Cole fan but he does his thing on the verses. The drums and cool vibe is just right for sets at Lucky Lounge in Oakland. Take a listen and let me know if you want the track. ViaNR . One of my favorite producers, Salamm Remi, talks about an unreleased remix for Lover’s Rock by Sade in 2001. This is a gem of knowledge that will go down in hip-hop trivia books for the ages. RapRadar has an excellent song reference that is worth checking out after watching the video. Ugghnicewatch posted a collection of one music’s (not just hip-hop’s) most acclaimed but lesser-known producers. Those of us that are fan’s of Nas, Amy Winehouse, and random remixes know he is. This collection is just a snippet of his songs that he produced but you will definitely get to know the man and his sound after listening to this. Tracklisting after the jump. Just more good music for your weekend!